Moai V: New Generation Collector's Edition is a continuation of a story that has been around for quite a while. We are back to the island and up for a new adventure with the new generation of characters. They step up to the challenge meet the needs of their home! You should be warned, though. The game is quite challenging. 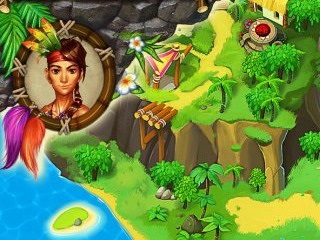 As you can deduct from the game's title, you play as the new generation of the island leaders. The high priest got ill and the chief's twin children decide to save the day and perform the ritual for the traditional rituals. 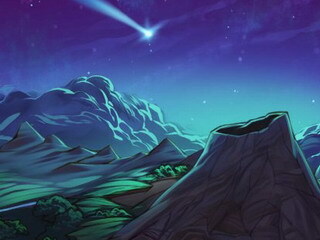 The rituals honor the elements as comets pass over the island, which is not a frequent event. Honoring the spirits behind the elements requires collecting and constructing Elemental Gates that consist of four parts. The game's story sets the stage for an interesting adventure across the island. You should be warned, though. The game is quite challenging. So, if you are an experienced in time management games, you might actually enjoy it a lot. If not, you might want to step up your skills or enjoy the untimed mode. Each level sets goals for you and if you want to finish it with three stars, you need to really think about your strategy and priorities and you assign the tasks. Each level is super busy with everything that needs to be done. 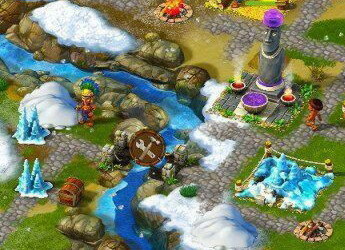 You are really going to love the treasure chests in each level that have artifacts and bonuses (power-ups) for you. You are going to have to do all the typical time management goals, like planting crops, repairing, constructing buildings, and trading your goods and produce with merchants. This is the collector's edition of the game and it offers biographies, achievements, bonus levels, soundtracks, and wallpaper. It is a fun time management game that you will not be disappointed with! This is Moai V: New Generation review. Download this game here.